As the old adage goes, in order to understand another person, one must “walk a mile in their shoes.” This is achieved by many through the means of cultural exposure, a broadening of one’s perspective that is appreciated in all walks of life. Yet these experiences hit closer to home in the Darien High School community than one might think. 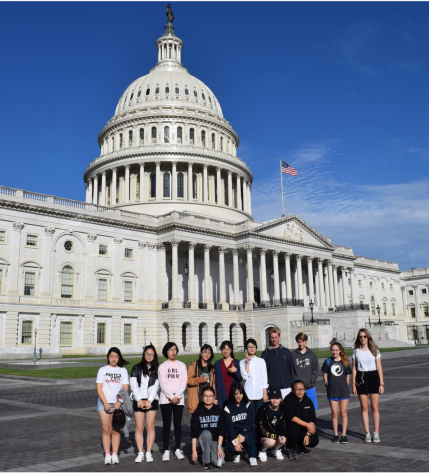 Every year, a group of globally-oriented students and teachers choose to take this adage to heart and both thrust themselves into a foreign environment, and welcome a foreign perspective into their homes. For sixteen years now, DHS students have been exchanging shoes with students from two high schools in China: an all girls school in Shanghai and a coed school in Qingdao, but 2018 could mark the end of this cultural exchange. 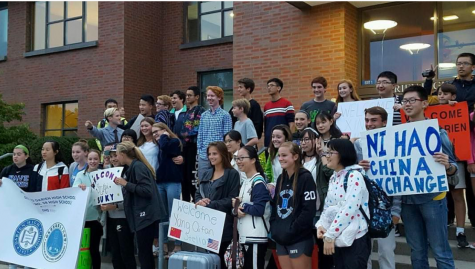 After their visas were denied twice, the Chinese students from the Qingdao school have called off the exchange. History teacher and CHEX coordinator, Mr. Nicholas Banas provided Neirad with information on the cancellation. At first, it was believed that the trouble with the visas was occurring on the Chinese government’s end. Mr. Banas did not have trouble believing such complications could exist in an “authoritarian state.” However, it was the American government denying the very exchange it had not only previously endorsed, but actually founded. The letter from the State Department read, “The applicant’s homeland is not strongly bonded to himself, so the risk cannot be eliminated that the applicant illegally stays in the homeland of the US.” (State Dept.) This claim, Banas asserted, is easily contestable, as not once in 16 years has a student ever stayed behind. Additionally, all of the students involved are high school aged students with families and obligations awaiting them at home, not to mention strong connections to their schools. While it is difficult to look at this issue from an apolitical perspective, that is the way DHS handled the situation. “The first step was to put our own anger aside,” Mr. Banas said. A letter was written to the State Department in an attempt to prove the innocence of the program’s intent (as well as to remind the agency that it was the agency that founded this program). A second letter was composed by the Chinese students to request that they have their visas approved. This appeal entailed an expensive and lengthy train ride from Qingdao to Beijing, where the students’ visas were again denied, this time under the assertion that they, “could be earning credit for courses while on a tourist visa,” over the two week long period they spend in America. 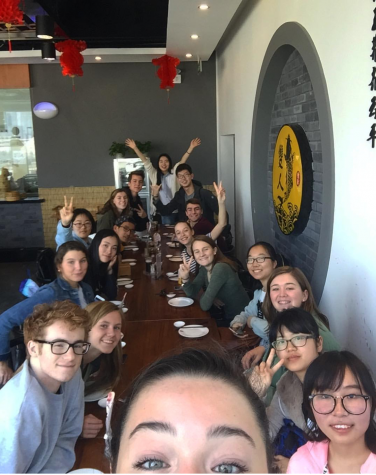 Several other alumni reminisced on their favorite CHEX experiences, all reflecting fondly on the staples of Chinese culture, especially when doing so entailed bonding with their host families. “Making dumplings with [his] host family or climbing up the Great Wall,” were among senior Will Hauben’s favorite experiences, while junior, Caroline Skoglund, loved learning to paint Chinese characters with her host mother. For these students, the bonds formed over the experiences provided by the exchange are indispensable. Selfie in Shanghai in April 2017. Courtesy of @CHEX2017 on Instagram. For Cheney, she was looking forward to taking the exchange to the homecoming game so they could experience school pride. The class was also excited about giving them a taste of American holidays, such as a 4th of July BBQ, Trick-or-Treating, and a Thanksgiving dinner. So the question arises, what do we do now? With all of the changes up in the air, students, especially those who are a part of CHEX, are left to wonder what is next to come. As it stands, the teachers involved in the program are attempting to rework the curriculum and go back to its “core purpose”- an experience of cultural exchange. While Mr. Banas is disappointed about the cancellation of the exchange on Qingdao’s end, he looks at the bright side. He is attempting to take the opportunity to search for culturally diverse experiences in our own community, and those around us. 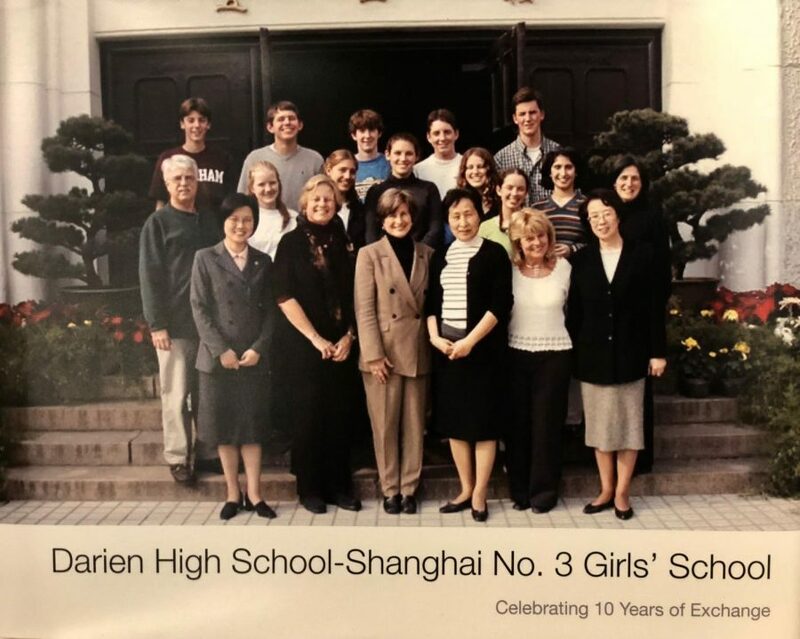 He has been in contact with a Darien resident who immigrated here from China. She voiced her support of the program and offered to connect students with the area’s Chinese-American community. The program’s administration is also excited about potential field trips to museums, temples, and other cultural hubs in the locality. If the CHEX students end up going to China in April, Cheney anticipates experiencing life on the other side of the world. “I feel like living life through another perspective for a little while always causes me to live my own life a little differently when I come back home. That’s what’s most exciting to me – taking something new, like a new tradition, that I can bring home to my personal routine, my family dynamic, and maybe even the Darien community itself,” Cheney stated.